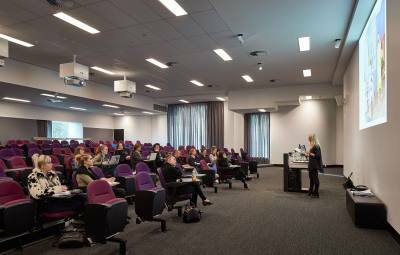 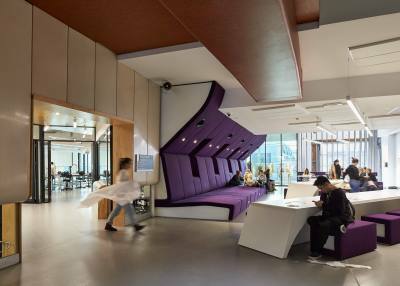 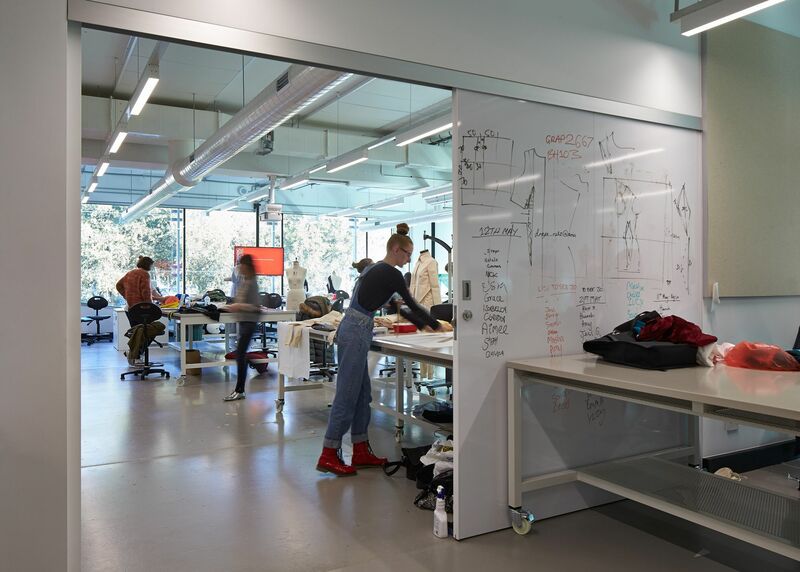 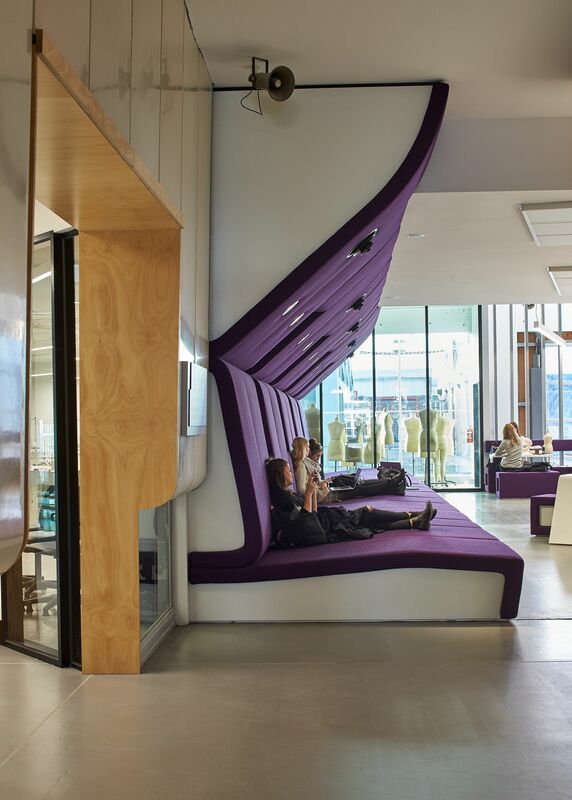 Completed in 2014, RMIT partnered PHOOEY Architects with Spowers to relocate and consolidate the School of Fashion & Textiles from the City to Building 516, Brunswick Campus (originally designed by John Wardle Architects and Demaine Partnership). 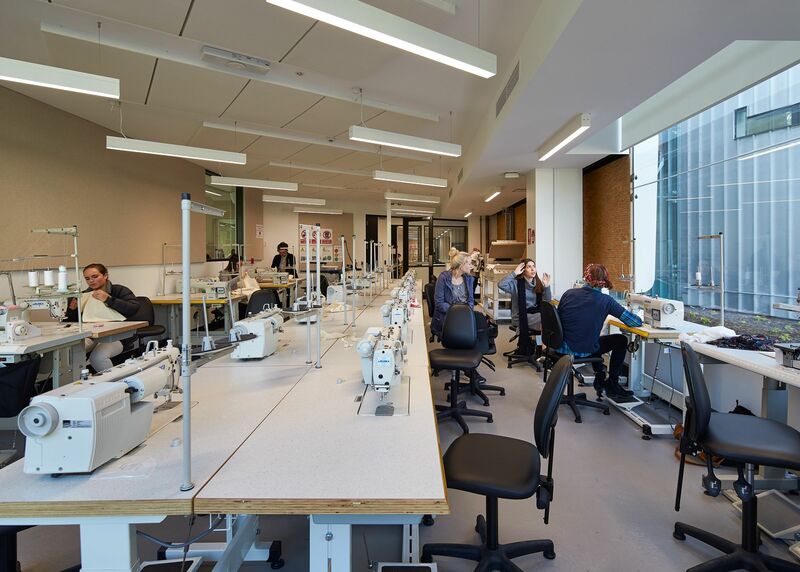 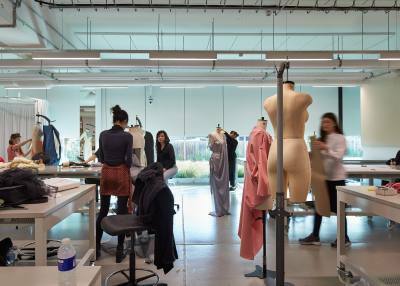 The School of Fashion & Textiles is internationally recognised as a school disciplined in making. 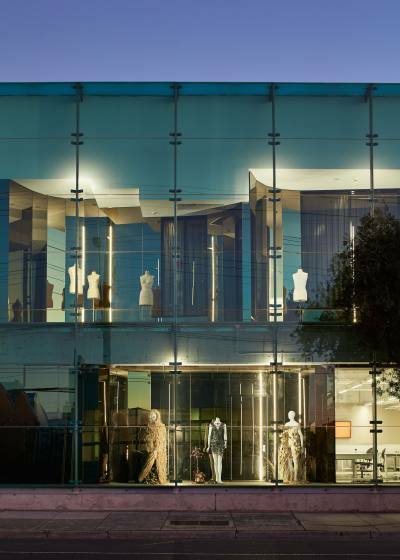 All briefed requirements were designed to complement features of the existing 2,000 sqm building. Alterations and additions included Sewing Machine Rooms integrated with Studios, a Wet Room, Collaborative Lecture Room for 196 students, Student Portal Laptop Lounges, and building performance upgrade. 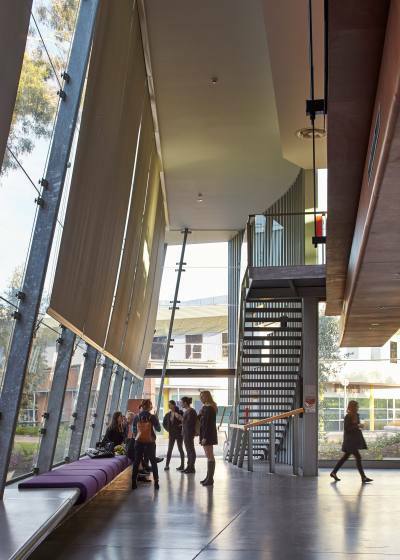 The only architectural element removed was a curvilinear plasterboard wall to accommodate student lockers. In this instance, the original architects’ hand stroke of the curvilinear wall was reused to produce a scalloped backdrop of fluted bronze mirror. 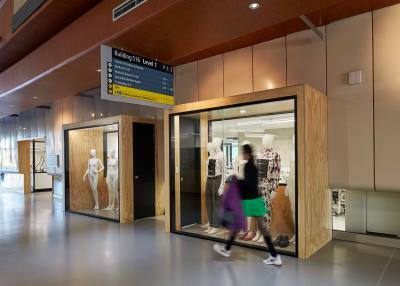 The mirror reflections showcase multiple views of the exhibits on display inside the School of Fashion & Textiles.